Recently, I was sent some recipes from a new vegetarian cookery book that is going to be published this week. 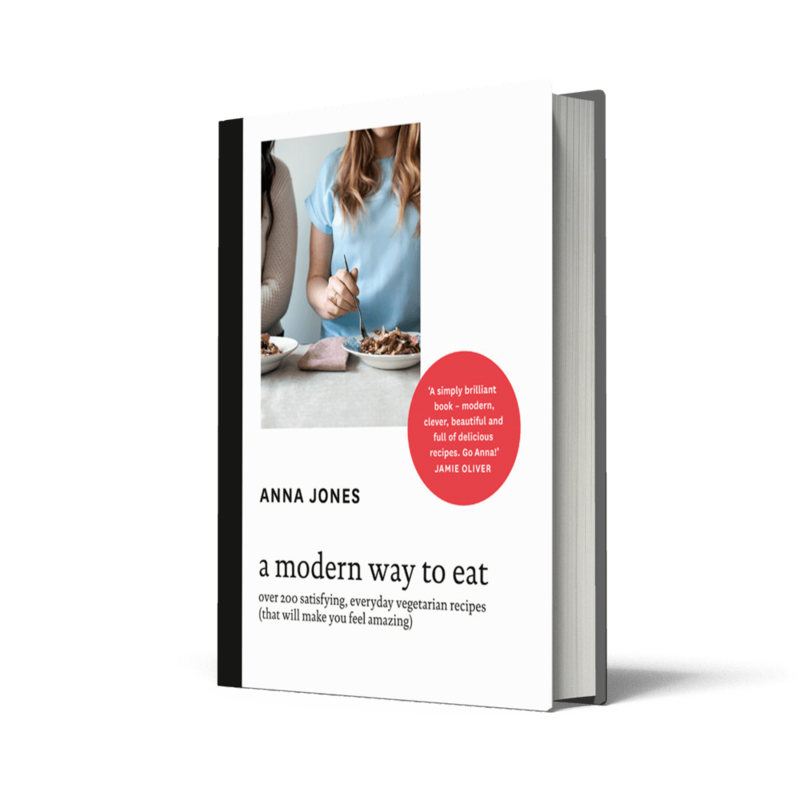 It is called ‘A Modern Way to Eat’ by Anna Jones. Anna trained with Jamie Oliver at Fifteen and has an impressive CV. Her book sounds right up my street as it has lots of healthy, tasty vegetarian recipes that are easy and quick to make. Even if you’re not a vegetarian, I think more and more people are eating veggie once or twice a week for health and cost reasons and there is always the quandary of what to cook for the veggie guest who comes to dinner. For this reason alone, and the thought of not having to have pasta/risotto/peppers again, I am thoroughly excited to see what the rest of the recipes are and might gently direct my friends and local bistro pubs to its contents. To whet your appetite, some of the recipes in the book are popcorn tacos, pistachio, mint and courgette polpette, cherry poppy seed waffles, full of greens fritters, double chocolate cloud cake and banana, toffee and coconut cream pie. Anyway, the recipe I chose to cook, from the ones I was sent, was Tomato and Coconut Cassoulet. I have recently returned from a visit to France and so the cassoulet caught my eye and my taste buds! Third time lucky, more bean-soaking and three days later I was finally to task! (note: this is all my fault. And Waitrose. Grr) It really was a very simple dish to cook and, for the diet-driven amongst you, easy on the calories. It involves tomatoes, beans, some veggies, coconut milk and sourdough bread which is cooked within the dish and absolutely divine for it. Really tasty as a meal and great for a Saturday supper with friends. It serves six easily and looks great on the table to be served up. It also is baked for half an hour in the oven which means you don’t have to be tied to the kitchen, cooking, while all your friends are quaffing wine and chatting. Heat an ovenproof wide pan on medium heat and add a glug of olive oil. Put in the leek, garlic, chilli and ginger with a pinch of salt then turn the heat right down and cook for 10 minutes (checking that nothing is burning! ), until the leeks are soft. Add the tinned tomatoes, milk and beans and simmer for a couple of minutes then remove from the heat. Scatter over the fresh tomatoes, then the basil and next tear up the bread and push chunks of it in between the tomatoes. Drizzle the whole lot with olive oil and cook in the oven for 30 minutes – the tomatoes should have shrunk and the bread crisp and golden. Serve with green salad.